Is Philadelphia’s proposed one percent tax on new construction a good compromise or a fools bargain? The Philadelphia City Council announced new legislation on April 11, 2018, that includes a new one percent tax on new construction that would raise revenue for the Housing Trust Fund, the city’s dedicated source for developing new affordable housing, preserving existing housing and preventing homelessness. WHAT IS THE TAX/IMPACT FEE? Proposed Bill No. 180351 would impose a new Construction Impact Tax/Impact Fee on all projects that are eligible for the city’s 10-year tax abatement. The funds raised from the tax are intended to help the Housing Trust Fund provide funding for more affordable and workforce housing development, which would be available to both nonprofit and for profit developers. million and $8 million, respectively. ARE CERTAIN TYPES OF BUILDING EXEMPT? As currently drafted, all buildings that are “for human occupancy” and that are eligible for the 10-year tax abatement would be subject to the tax/impact fee. These buildings would include not only residential structures, but commercial and industrial structures as well. 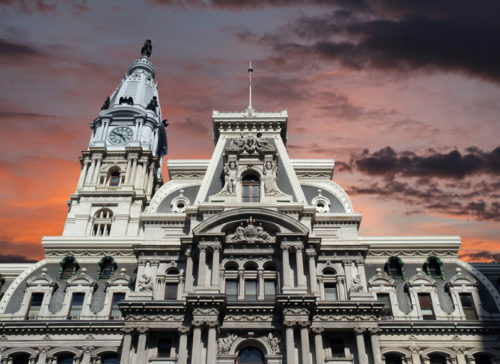 Rather than single out one particular kind of developer (i.e., multifamily developers), the proposed tax would apply to any project that qualifies for a 10-year tax abatement in Philadelphia. There appears to have been more compromise than usual between the trades, the Building Industry Association, City Council members, members of the development community and other civic-minded individuals as the merits and concerns over the 10-year tax abatement were debated, as was the Mixed Income Housing Bill, both being offered as potential solutions for addressing Philadelphia’s affordable and workforce housing needs. As proposed, the effective date would be July 1, 2018, although some are already pushing for a later effective date of January 1, 2019. Duane Morris attorneys will continue to monitor and report on any development in this issue. If you have any questions about this Alert, please contact Brad A. Molotsky, any of the attorneys in the Real Estate Practice Group, attorneys in the Project Development/Infrastructure/P3 Practice Group or the attorney in the firm with whom you are regularly in contact.